Nymgo Bangladesh, Sri Lanka Unlimited Calling plan expried | Free Pc to Phone Calls, Free Voip Calls to India International ! 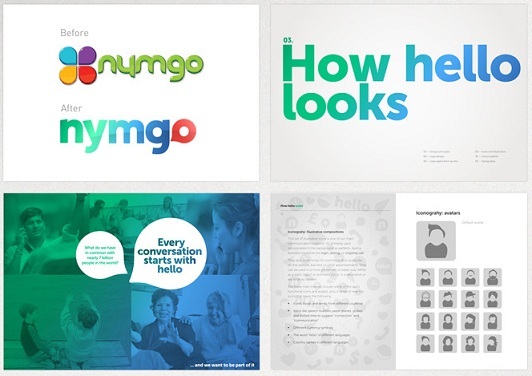 Nymgo is the world's leading voip provider offering unlimited calling plan. It is also highly known fact that it also offers cheapest voip calls in the whole industry (and to many destinations). Many people are using Nymgo for making calls to India (as it offers calls for as low as 1.3 cents per minute). Less known fact is that many people were using Nymgo for calling Sri Lanka and Bangladesh. Sometime back, Nymgo stopped its unlimited plan for India, Pakistan. However it slashed its Pay as you go rates so that people can still enjoy cheap rates to these destinations. It has started offering calls to Pakistan at 8.5 cents per minute and India at just 1.3 cents per minute. Nymgo's unlimited plan for Bangladesh and Sri Lanka has also expired. It does not want to loose its customers and has kept its promise to offer cheap rates. Infact Nymgo has lowered its calling rates for both Bangladesh and Sri Lanka. Calling Bangladesh : 4.9 cents per minute. Calling Sri Lanka : 7.4 cents per minute. But I guess Nymgo is not offering a good deal for these countries. Specially for calling Bangladesh. With the recent changes in Bangladesh voip rules, many other voip companies are offering highly cheap rates. Recently Voipian decreased its rate to just 2.1 cents per minute. SmartVoip Calls to Bangladesh are being offered for as low as 2 cents per minute. So we would like to give Nymgo a message here, that guys you are no longer offering cheapest calls to Bangladesh (As you promised earlier). Please listen to this and lower your calling rates a bit further so that people keep using your services. We also request our readers that if you are aware of a better deal for calling these countries ( Bangladesh and Sri Lanka) then do let us know, so that we all can make cheap voip phone calls. Heyyyyy Friend ... i need to call from INDIA to INDIA .. does it possible ??? plz reply... subho1988@gmail.com... i am always available in GTALK ... we can talk there .. Thanks . From aug. 29, 2009 to Nov. 17 2009 i almost have 400USD purchase of Pay-as-you-go service. Now here is my complaint. 1. my 20USD purchase under xxxxxx user account was not loaded but my bank confirmed that i got charged. 2. my 10USD purchase under xxxxx user account is also not loaded but charged to my credit card. i called nymgo over the phone and the call center agent can't do anything about this but instead telling me to e-mail nymgo. Would you blame me blogging this ? thanks for the post on Nymgo. I wanted to call Bangladesh i check many voip providers and found that Nymgo has the best rate at 2.9 cent whereas others like smaartvoip are selling at 4.2 for mobile.